Imagine coming home after a day at work and wish only to put in a tub full of hot water. The candles are ready and the shower gel smells already the environment. Just missing a small but important detail: the light. 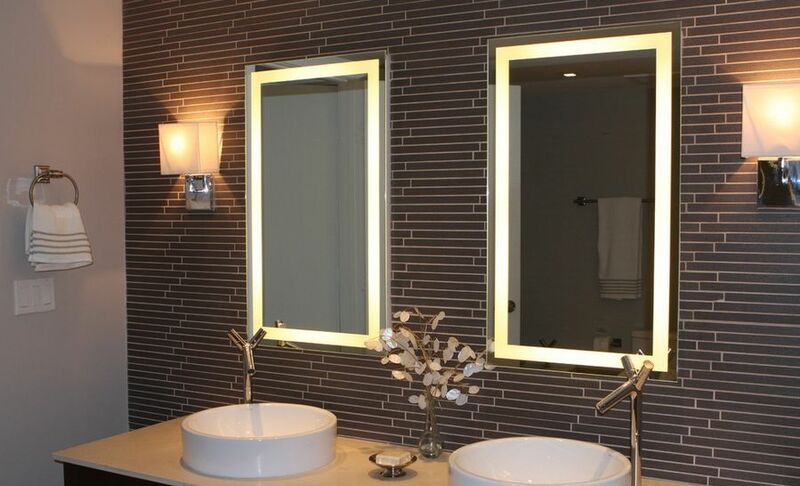 Brighten the bathroom with Leds is a great way to create a very special atmosphere. I’ll explain how to do it. First of all what is Led lighting? Led is an acronym (a word formed from the initials of other words) meaning Light Emitting Diode. Means that it is a device that emits photons by exploiting the optical properties of materials called semiconductors. 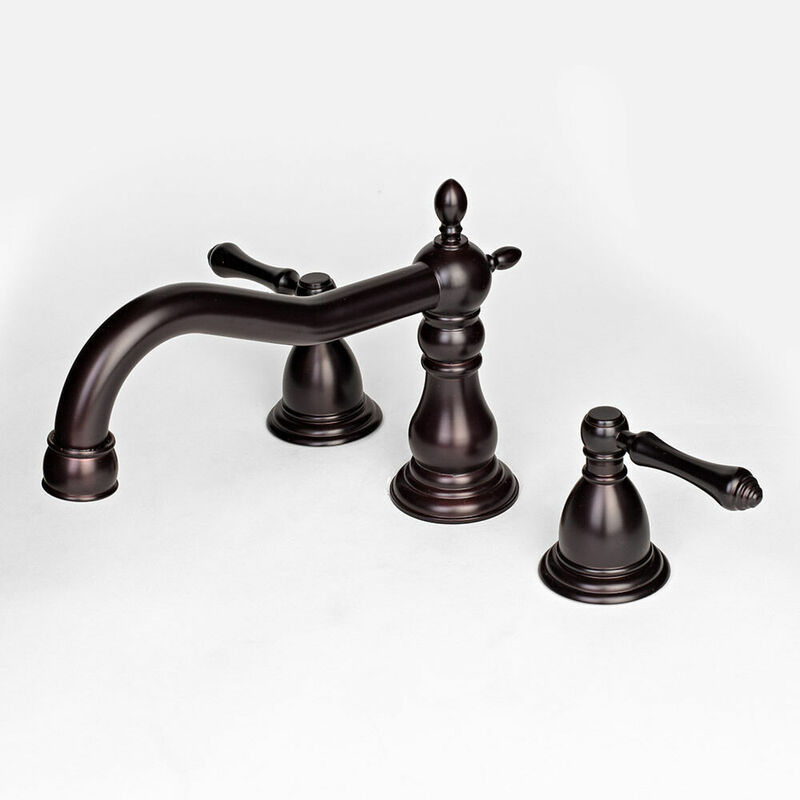 Don’t worry you don’t have to know these things to create a beautiful setting in your bathroom. Suffice it to say that the Led illumination makes the lamps do not overheat and they can get so many different colors. Why use these devices range from high efficiency at low power consumption and long service life. Perfect right? 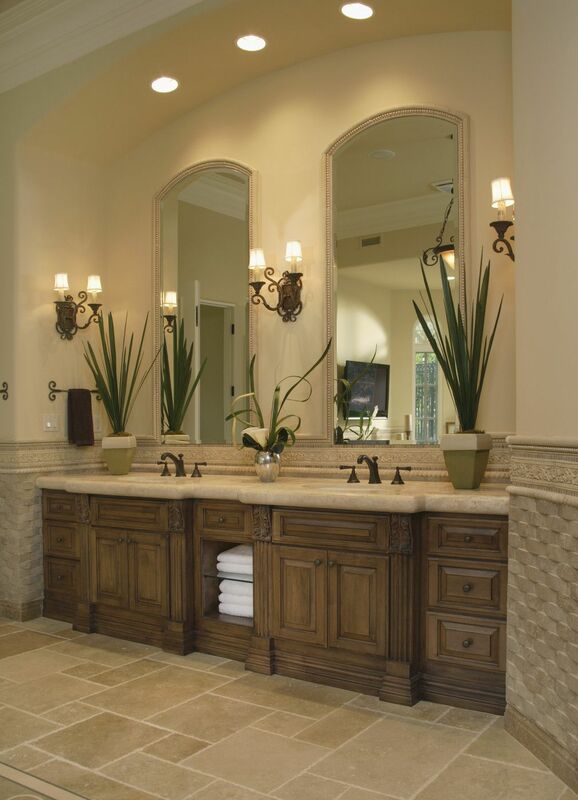 The bathroom then is an environment that lends to their use because the LEDs are not affected by humidity. Here’s how you can create a soft atmosphere perfect for your relaxation. Install, or install from a technician, the Leds in the floor or in the wall finish. This way you can get a faint color of the shade you want. A very mild red or a relaxing blue are colors shown for a moment to relax during a soothing bath. A brilliant solution may consist in positioning the LEDs in the floor, in particular between the tiles. 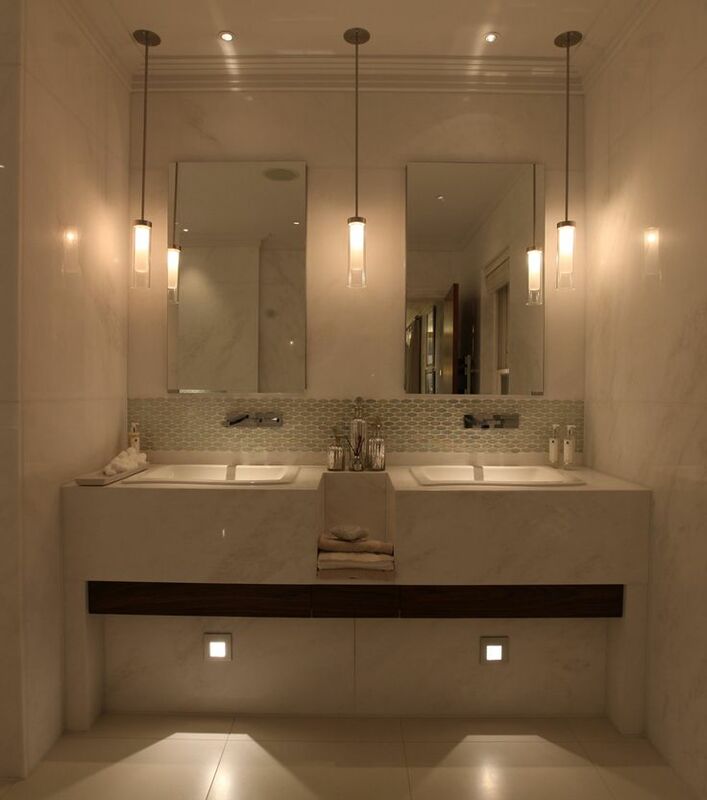 This allows you to create a particularly striking effect by turning off the other lights in the bathroom. It also takes into account the usefulness of this solution when you get up at night and the House is plunged into darkness. Have a source of lighting do you avoid unpleasant accidents! I recommend not to overdo the light. 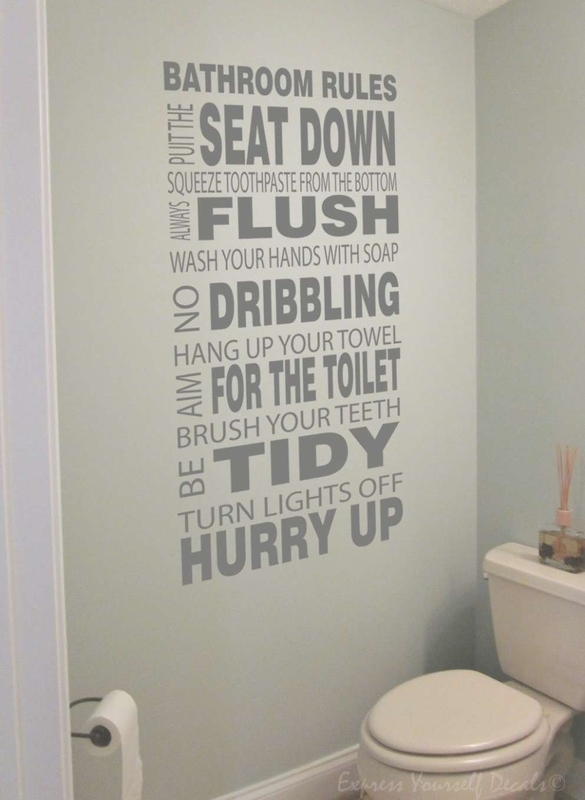 Brighten the bath area like that too creates an annoying rather than pleasant. Then follow this advice: use color therapy. As you may know at each wavelength corresponds a color that affects our physical state. Red and Orange for example are recommended in environments such as the kitchen because they have the property of stimulating the metabolism. For the bathroom uses a color aquamarine or emerald green. Is the most suitable for relax and the Led is the best solution because it allows you to get the shade you want. 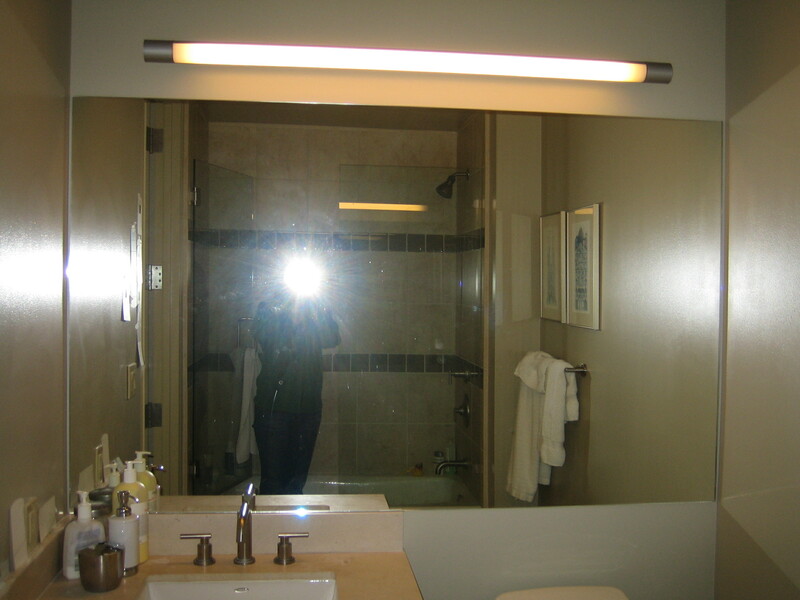 Useful can be use LEDs in front of the bathroom mirror . 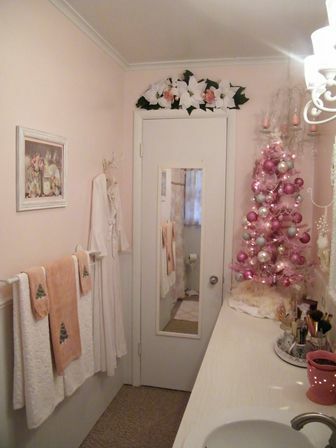 In front of the bathroom mirror you do many things like comb, wash your face, teeth and putting on makeup. A led lighting would be great especially, aesthetically unique led both vertical or horizontal depending and space to be illuminated. One tip is to use LEDs with value Kelvin low that produces a warmer light, ideal for many situations and not only aesthetically. 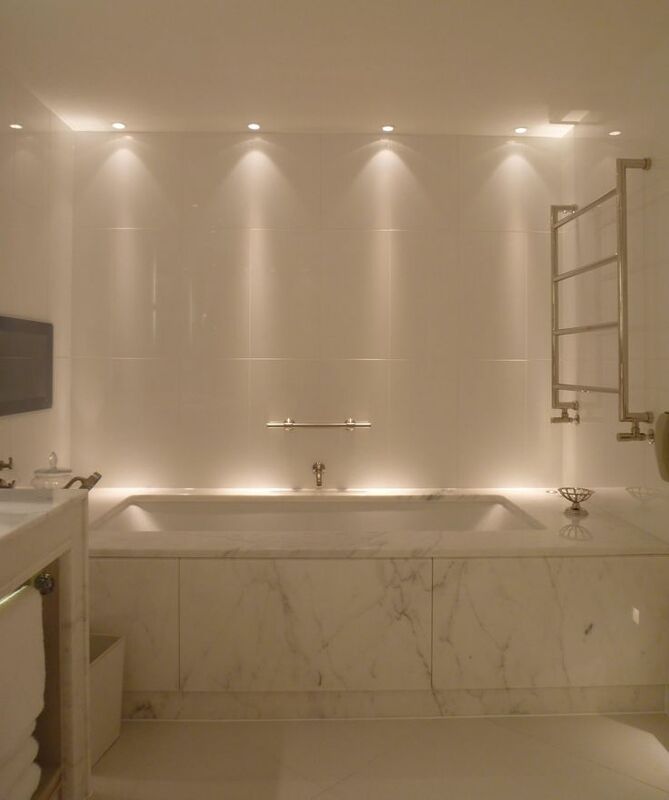 Always make sure to use LEDs that have a good coefficient of energy saving and very useful, especially when used in the bathroom, which is covered with material that makes it water resistant. Last thing to note but not the least is the ecological aspect. Used with special eco-certificates that allow both a good use of electricity and are composed of materials that are not harmful to the environment.